Games designers of the world, we need to have a talk. It seems like in every big-budget adventure title, there exists a magic omniscient park ranger who goes around painting all the flat spots on the world’s mountains. With their help, the game’s hero is able to traverse ledges, cliffs and rocky hillsides by finding those conspicuous handholds and gripping their way through the button prompts of each one. The latest offender is God of War. 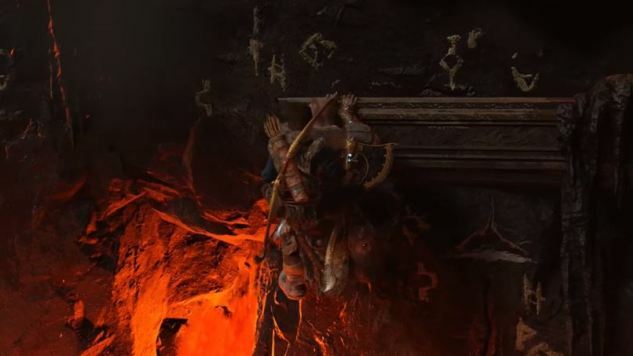 In it, Kratos overcomes all obstacles to travel through the halls of the Norse afterlife with his son and scatter the ashes of his dead wife. And yet, despite being an electrified murder machine, his supernatural strength has limits. Killing gods, freeing dragons, moving all manner and size of stone masonry: none of this poses a problem. But show him a particularly sharp rock and suddenly he’s the assistant manager at REI, scaling the wall only as fast as he can spot a cleared space. This style of climbing, a sort of climbing-on-rails, is a reasonable accommodation of the medium’s technological limitations; after all, not every videogame can feature open world exploration, and designers have to create boundaries. And as a shortcut for the actual process of scoping out a handhold while scaling an incline, it’s not the worst. But it also requires a huge suspension of disbelief. I mean, have you seen the muscles on Kratos? He’s just one giant ab. How is the entire world not his jungle gym? In a sense, I’ve already given this topic some attention before, in another article talking about The Legend of Zelda: Breath of the Wild and how its approach to open world exploration should challenge others in its genre to change the relationship between their players and the environment. If exploration games are going to be so big, after all, it behooves their creators to give the players a variety of travel options to suit their playstyles and time constraints. Which leaves us with something of a problem. For a lot of these games, this style of climbing is a major part of the experience. I can’t imagine an Uncharted or Far Cry game without it. But if I have to spend even another minute doing it I’m going to rip off my own head and throw it into the sun. While the burnout may be my fault for playing so much God of War or Horizon Zero Dawn (or whatever), these are games that are designed to be played for dozens of hours. The least they could do is put their own spin on the mechanic and give it an element of challenge. Ultimately, as with the quicktime elements, the climbing-on-rails portions of God of War aren’t a dealbreaker. I do however think they’re the bowling lane bumpers of environmental puzzle solving, a skilless stall tactic that artificially extends the navigation process. For a power fantasy the likes of God of War, the game doesn’t just not need them. It’s better off without them.